SACRAMENTO, Calif. /California Newswire/ — Today, Calif. Governor Edmund G. Brown Jr. announced the following appointments: First, Deborah Harper, 48, of Roseville, has been appointed deputy secretary of administrative services at the California Department of Veterans Affairs. Harper has been chief of the Customer Service and Publishing Division at the California State Board of Equalization since 2005. Harper held multiple positions at the California Department of Justice from 1996 to 2005, including budget analyst, manager of the administrative unit for the Legal Support Branch and manager of the California Bureau of Criminal Identification and Information. Harper was a staff services analyst at the California State Lottery from 1994 to 1996. She was an executive secretary at the California Department of Justice from 1993 to 1994 and legal secretary at the State Compensation Insurance Fund from 1986 to 1993. This position does not require senate confirmation and the compensation is $117,120. Harper is registered decline-to-state. Amy W. Krause, 40, of Sacramento, has been appointed director and patient advocate at the California Office of the Patient Advocate. Krause has served in multiple positions at the California Department of Managed Health Care since 2006, including assistant chief counsel. She worked in multiple positions at WellPoint Health Networks Inc. from 2000 to 2005, including public policy manager. Krause was an attorney at California Juvenile Defenders from 1999 to 2000. She earned a Juris Doctorate degree from Loyola Law School Los Angeles. This position requires Senate confirmation and the compensation is $132,444. Krause is a Republican. Sarah Triano, 38, of San Jose, has been appointed executive officer of the California Committee on Employment of People with Disabilities. Triano has been executive director at the Silicon Valley Independent Living Center since 2009. She was an agency review team member at the Presidential Transition Project in 2008. Triano served in multiple positions at Access Living of Metropolitan Chicago from 2001 to 2008, including program director. This position does not require Senate confirmation and the compensation is $81,732. Triano is a Democrat. Elizabeth Edwards Harris, 55, of Los Angeles, has been appointed to the State Historical Resources Commission. Edwards Harris has worked as a self-employed architectural researcher and writer since 2001. She has been a member of the California Preservation Foundation Board of Trustees since 2005. Edwards Harris earned a Master of Arts degree and doctorate degree in architectural history from the University of California, Los Angeles. This position does not require Senate confirmation and the compensation is $100 per diem. Edwards Harris is a Democrat. AnMarie Medin, 46, of Fair Oaks, has been appointed to the State Historical Resources Commission. Medin has held multiple positions at the California Department of Transportation since 2000, including supervising environmental planner, senior environmental planner and associate environmental planner. She was historical archaeologist at KEA Environmental from 1997 to 1999. Medin earned a Master of Arts degree in cultural resources management from Sonoma State University. This position does not require Senate confirmation and the compensation is $100 per diem. Medin is a Democrat. Marshall McKay, 60, of Brooks, has been appointed to the State Historical Resources Commission. McKay has served as the tribal chairman for the Yocha Dehe Wintun Nation since 2006 and was a tribal councilmember from 1984 to 2006. He serves as chair of the Autry National Center, is a delegate to the National Indian Gaming Association and is a member of the California Native American Heritage Commission. McKay is a member of the Native Arts and Cultures Foundation, Native American Rights Fund and the National Museum of the American Indian. This position does not require Senate confirmation and the compensation is $100 per diem. McKay is a Democrat. Rick Moss, 58, of Alameda, has been appointed to the State Historical Resources Commission, where he has served since 2005. Moss has been chief curator at the African American Museum and Library at Oakland since 2001 and was program manager from 1990 to 2001. Moss has been a member of the California Council for the Promotion of History Board of Directors since 1998 and a member of the Alameda Multicultural Committee since 2009. He earned a Master of Arts degree in history from the University of California, Los Angeles and a Master of Arts degree in museum studies from the University of California, Riverside. This position does not require Senate confirmation and the compensation is $100 per diem. Moss is registered decline-to-state. Julianne Polanco, 48, of Mill Valley, has been appointed to the State Historical Resources Commission, where she has served since 2005. Polanco has been director of cultural resources at Lend Lease since 2006. She was senior preservation specialist at Presidio Trust from 1999 to 2006 and assistant to the vice president for programs at the World Monuments Fund from 1998 to 1999. Polanco was office manager and projects coordinator at the Townscape Institute in 1998 and advisor to the chairman of the California Integrated Waste Management Board in 1997. She was special assistant to the secretary of the California Environmental Protection Agency from 1996 to 1997 and was a committee analyst at the California Integrated Waste Management Board from 1994 to 1996. Polanco was a special assistant and recycling specialist at the California Department of Conservation, Division of Recycling from 1990 to 1994. She is a trustee of the California Preservation Foundation and a member of the National Trust for Historic Preservation. Polanco earned a Master of Science degree in historic preservation from Columbia University. This position does not require Senate confirmation and the compensation is $100 per diem. Polanco is a Democrat. Adrian Praetzellis, 60, of Santa Rosa, has been appointed to the State Historical Resources Commission. Praetzellis has held multiple positions at Sonoma State University since 1983, including professor of anthropology and lecturer. He is a member of the Society for California Archaeology and the Society for Historical Archaeology. Praetzellis is a registered professional archaeologist and earned a Master of Arts degree and doctorate degree in anthropology from the University of California, Berkeley. This position does not require Senate confirmation and the compensation is $100 per diem. Praetzellis is registered decline-to-state. 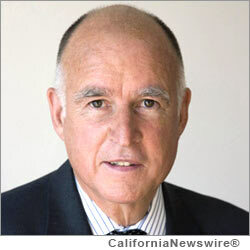 Copyright © 2013 California Newswire. This content is copyrighted under U.S. and international law and may only be used for non-commercial purposes by news aggregators or under license of the Neotrope® News Network (www.neotrope.net). .